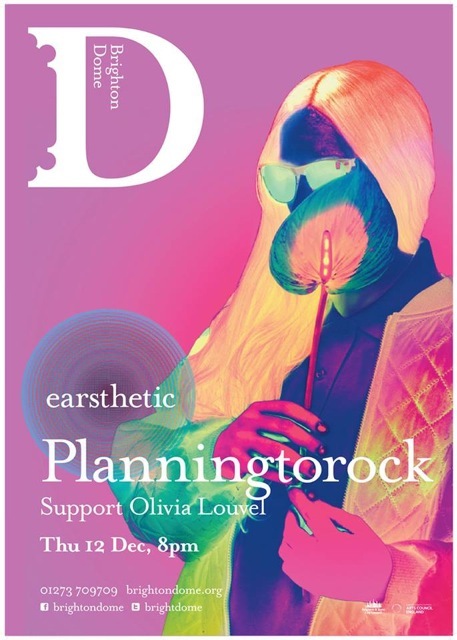 Award-winning composer-performer, Olivia Louvel will be appearing in a new season of “Earsthetic” a live interdisciplinary performance at the Brighton Dome Studio Theatre in the UK on the 12th of December 2013. She will be opening for Planningtorock. Olivia will be delivering an audio-visual performance based on her sound-art project, “Doll Divider“, a self-alteration. The visual starting point for the album “Doll Divider” was derived from A4 paintings made by using pages from fashion magazines and painting on top of the photos of the models to create an enhanced vivid distortion. 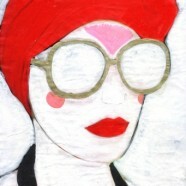 Collectively these paintings are called “Processed Dolls”. She applies a similar processing technique to the creation of her music; honing her soundscapes by sonically abusing and transforming with her voice providing the spinal column. For Earsthetic, Louvel draws upon her visual arthouse DIY in the production of her video clips. visual artist and musician Planningtorock (12 Dec). Olivia Louvel is a French-born, British composer, producer and performer, crafting electronic songs with laptop and voice. Over the last decade, she has released 4 albums and a collaborative album with Paul Kendall (under the moniker of The Digital Intervention). She is working between the areas of experimental electronic music and popular music. Her digital compositions use the voice as the spinal column; unique, minimal, weird and wonderful electronica yet humanly possible. In 2010, Olivia supported Recoil (the musical project of former Depeche Mode member Alan Wilder) for various concerts on the European “Selected” tour. In 2011 she won the Qwartz Album Award at the Qwartz Electronic Music Awards for “Doll Divider”. Subsequently she released the album as a 12″vinyl enhanced version on her label Cat Werk Imprint. Her music was broadcast on BBC Radio 6, BBC Radio 3, Radio Eins, Bayern 2 Radio, France Musique, Wfmu… and is featured in the Sound Archive at the British Library and also in the National Library of France. Her latest production “ō, music for haiku” was released in December 2012. Based on haiku by poet Bashō (1644-1694), Louvel has composed a sparse soundtrack, voice and silence, which exist in a state far from our current pressing times. “ō, music for haiku” has been nominated for the Prix Ars Electronica 2013.